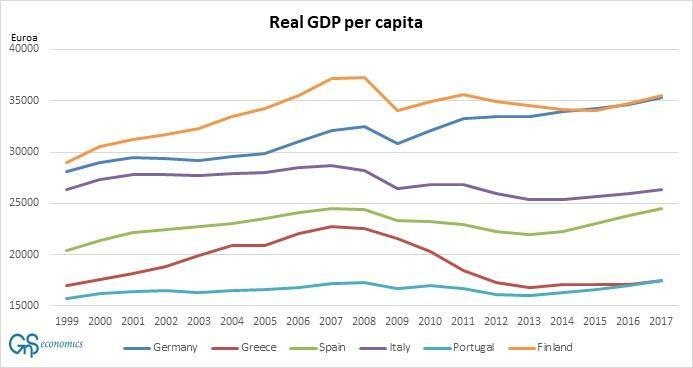 The Eurozone is a fragile financial mammoth. While its GDP lacks the US by around $3 trillion, assets of the banking sector are some 240 percent of GDP vs. around 90 percent in the US. It has been kept on standing only through the large-scale asset purchase program (quantitative easing or QE) of the ECB. However, the ECB is about to phase-out its bond buying program, which will affect the debt dynamics and the likelihood of euro survival in a dramatic way. 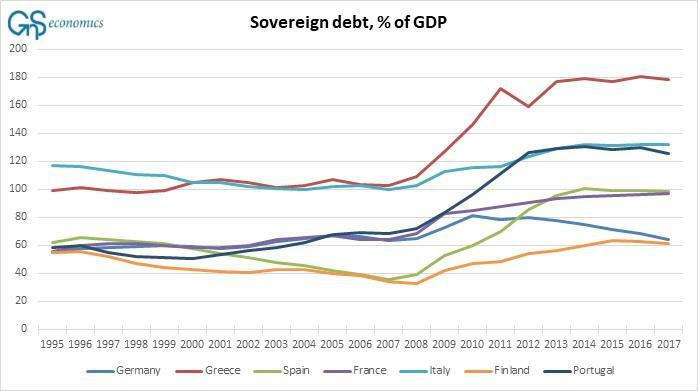 However, the ECB will continue to roll over its existing sovereign debt pile. 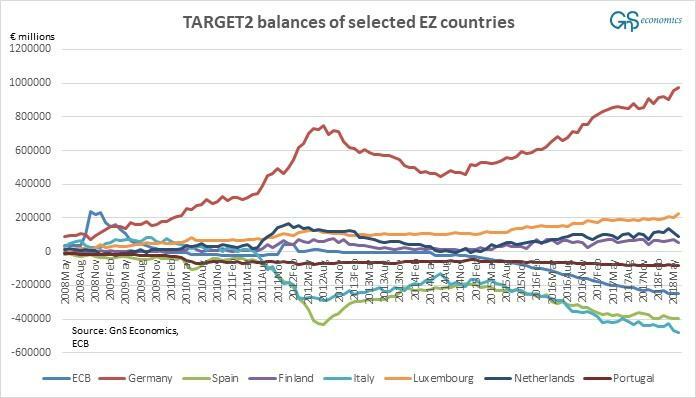 Because its balance sheet is very large (close to 42% of GDP of the EZ), even only reinvesting principal produces pressure on sovereign yields. Still, any increase in the net issuance of sovereign debt needs to find another buyer. Everyone should ask themselves, “would I lend to, say, Italy for 10 years at three percent?” to find whether potential buyers will be plentifully available.